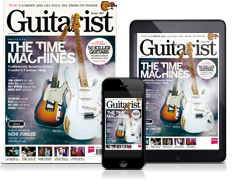 Jerry Garcia's legendary 'Wolf' guitar is set to go under the hammer at a Guernsey's auction on 31 May at Brooklyn Bowl in New York City. 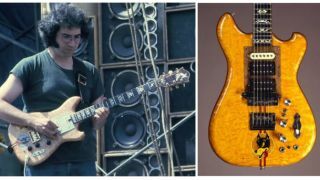 Custom-made by luthier Doug Irwin, Wolf was played by Garcia in the Grateful Dead from 1973 until his passing in 1995, after which it returned to Irwin. This is not the first time the guitar has been up for auction, having fetched nearly $1,000,000 back in 2002, but its current owner is selling up to raise money for the Southern Poverty Law Center, which fights racism and hate groups. If you fancy a bid, head over to Guernsey's.